and Skype 6.15 or newer. Record automatically, or use the record and stop buttons. It's that simple. With Call Recorder you get stunning, high-quality, HD recordings. You can record your Skype video sessions, podcasts and interviews as you see them, or in our unique side-by-side and split-screen modes. Feel like sharing? Easily convert your calls into MP3 files for podcasting or internet-ready movies for YouTube and Vimeo. Doing some editing? 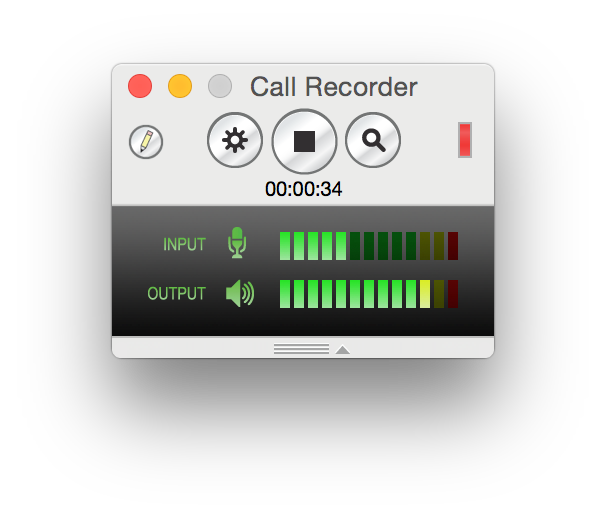 Call Recorder's multi-track recording feature lets you split tracks after a call. We think seeing is believing. Download Call Recorder now to try it out free for 7 days. Calls are automatically organized in Ecamm Movie Tools for easy export and sharing.